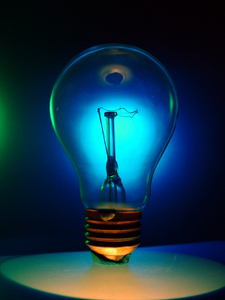 Co-operative Energy has announced that its energy prices will increase by 2.4 per cent. Going against the energy price reductions implemented by many energy suppliers, Co-operative has hiked prices by £27 per year for customers on its variable tariffs. The higher prices will come into effect on 27 May (2014). Its typical dual fuel bill will rise to around £1,176 per year as a result of the increases. However, Co-op has moved to reassure customers that their gas prices won't be affected. The supplier has attributed the increase to energy industry related costs - such as the energy companies obligation (ECO) - and increased distribution and transmission costs. General manager of Co-operative Energy, Ramsay Dunning, spoke about the group's decision to implement a price rise. He said: "We pledged to offer fair pricing, and even after this increase we will still be competitively priced against the big six's standard tariffs. We are not increasing prices to reward financial investors. We are simply no longer able to absorb these government-imposed costs." A spokesperson for the Department of Energy and Climate Change (DECC) responded in light of Co-op's comments. He said: "If they are going to say "this is all down to government-imposed costs," they need to come out and explain how they have arrived at the figure they have."